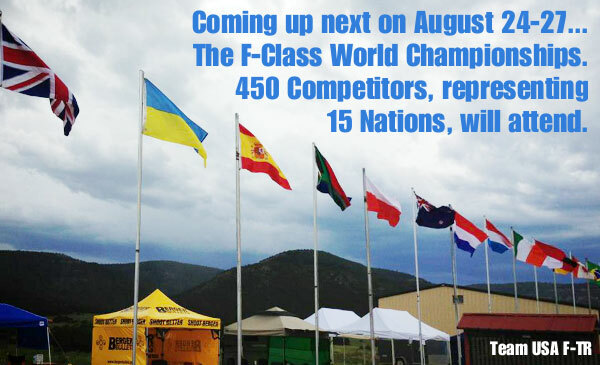 The dust has settled and all the scores have been tabulated at the 2013 U.S. F-Class Nationals. This was a hugely successful event with 350 shooters on the firing line. After three days of individual matches, concluding with blustery conditions on Thursday, we have two new USA F-Class Champions, Larry Bartholome (F-Open) and Derek Rodgers (F-TR). Both men shot great matches from start to finish — we congratulate both on their well-deserved victories. 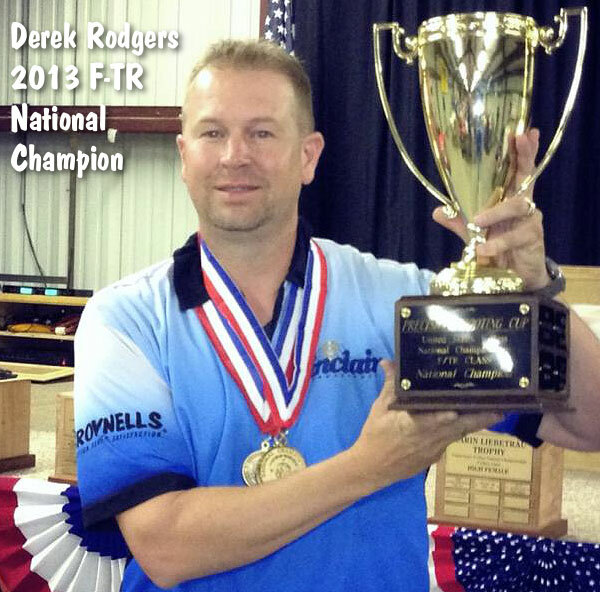 Derek Rodgers (Team Sinclair) is the 2013 U.S. National F-TR Champion. Posting a 1270-44X final score, Derek edged runner-up Lige Harris (1268-44X) by two (2) points, both men finishing with identical X-counts. John Chilton was third with 1264-35X, with Trudie Fay (1263-33X) and James Crofts (1261-33X) rounding out the top five. Lige finished as High Senior, while Trudie was the High Lady. In F-Open class, Larry Bartholome won the 2013 National Championship, besting an extremely strong field packed with talent. Larry shot great on all three days, holding on to his lead even in extremely challenging conditions on Thursday. 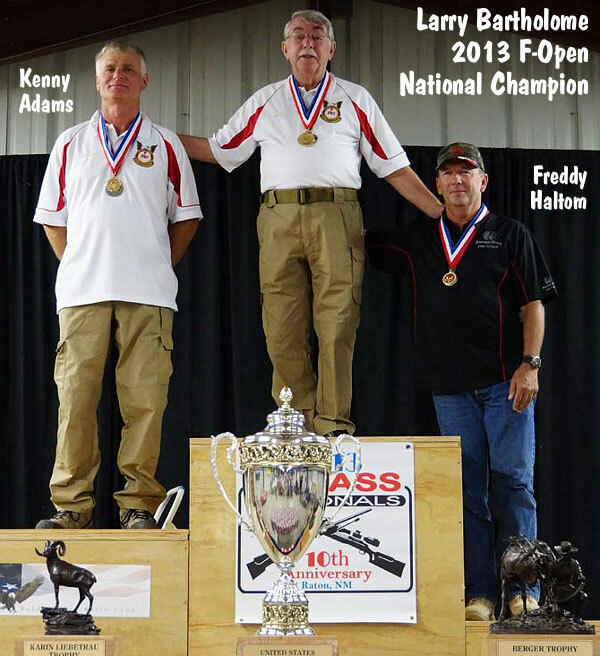 Larry took the F-Open title with a 1283-59X score. The next three positions were decided on X-Count, with three shooters, second-place Kenny Adams (1281-66X), third-place Freddy Haltom (1281-52X), and fourth-place William Wittman (1281-50X) all finishing with 1281 point totals. Kenny’s impressive 66X was the high X-count for the match. Steven Blair finished fifth with a 1280-52X score. 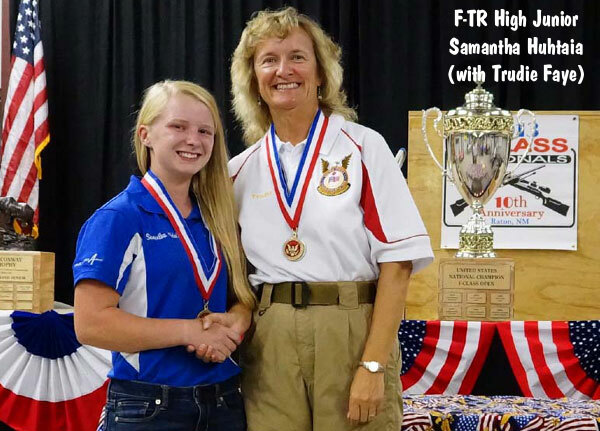 Share the post "Bartholome (F-Open) and Rodgers (F-TR) Win F-Class Nationals"
COME ON YOU BRITS ! Now the Worlds have commenced, better watch out for the non-US Teams. See it how the BRITS see it. News from New Mexico, care of SAMUEL MORSE and his “Infernal Contraption”. News from across the the Shooting World, as it happens ?